This is a family recipe. I grew up eating these beans, several times a month, so much so they're almost part of my DNA. 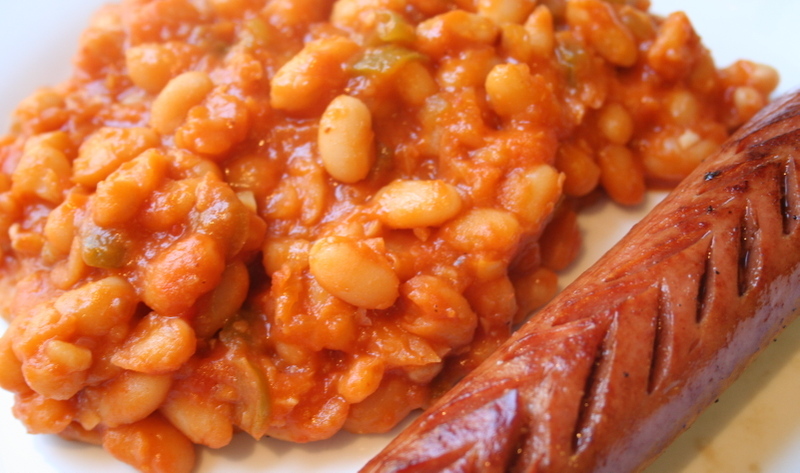 My mother always used canned pork and beans, which makes the dish very soft, and to me, comforting. But, I also like it made with dried white beans, which is what I used here. My mother never measured the ingredients, just added the "correct" amount by eyeballing it, adjusting the taste until it was just right. And that's exactly what I do. The taste of the beans is sweet, spicy, and garlicky, with a slight smokey taste. We always ate them with hot dogs. In the winter, the dogs were cooked submerged in the beans, which is my favorite way of preparing them. But, in the summer they were grilled. I love eating these beans, because they always remind me of my mother. And, of course, they get better over a period of days, sitting in the fridge. I didn't know what I wanted for dinner tonight. I just knew that I was hungry, but didn't want to eat anything with meat, or flesh of any kind. So, completely perplexed about what to fix, I turned to my old friend, the chickpea. As long as I have cans of them in my pantry, I know some sort of quick, satisfying meal is possible. Then it dawned on me that chickpea pancakes would probably taste pretty good, and allow me to use up some odds and ends in my fridge. 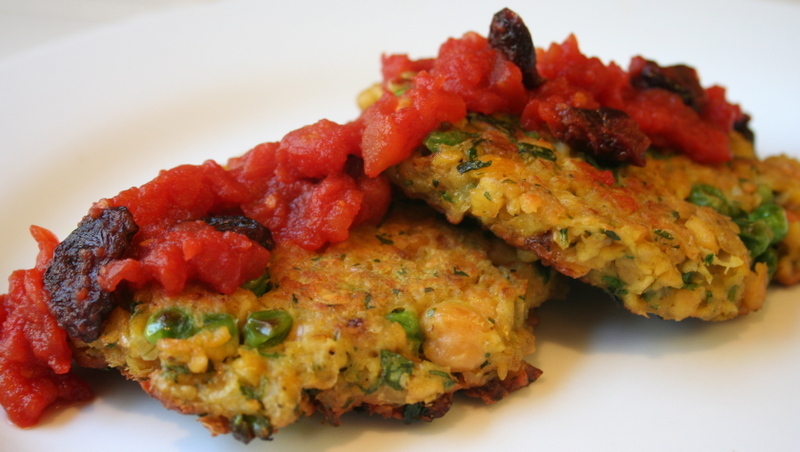 I pureed the chickpeas with a dab of leftover tomato-chipotle sauce, garlic, and cumin, shaped them into rough patties and cooked them in a little oil. And they were very good. But, I'm biased in favor of bean patties, so others might not like these as much as I did. I'm not sure this is the best hummus I've ever eaten, but it was very good. I've eaten a lot of hummus over the years and found a lot of variation in the quality of the stuff sold in grocery stores. It's easy to make your own, plus less expensive, and the quality is usually better. 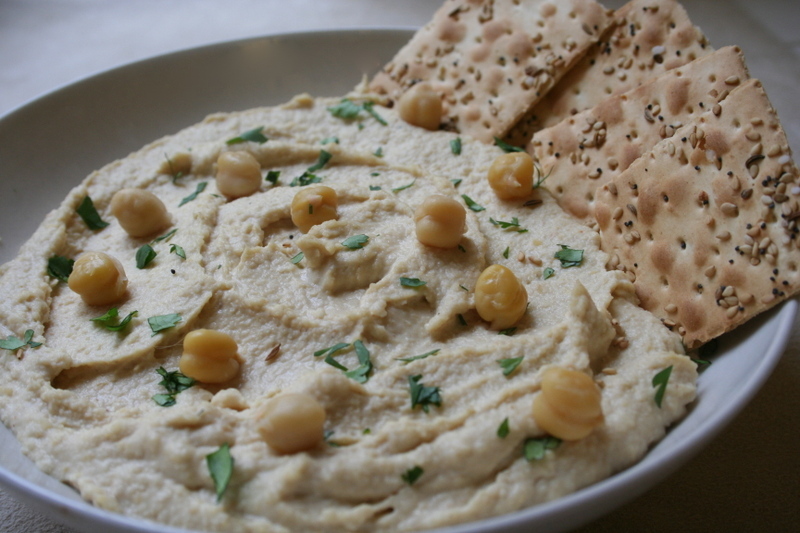 This recipe comes from Cook's Illustrated, and aimed to reproduce a creamy, restaurant-style hummus, without any grainy texture. I followed the instructions and produced yummy hummus in about five minutes. The recipe said to wait 30 minutes, to let the flavors meld. I stared at the bowl, tried hard to obey, but ate half of it immediately. Besides being creamy, the flavors were nicely balanced, with no one element overwhelming the others. The lemon juice, garlic, and cumin were just right, in my opinion. Sometimes people tell me that my recipes take too long and have too many ingredients. My cousin Debbie recommended my blog to a friend of hers. 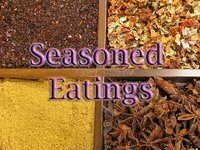 The friend took one look at my blog and complained that she only wanted to prepare recipes that have, at most, three ingredients, and no chopping. Hmmmm. I understand not wanting to spend a lot of time cooking. I've had many moments like that, so I appreciate streamlined recipes, which I do offer. Maybe I need a recipe category titled Fast And Simple. Here is one of them. 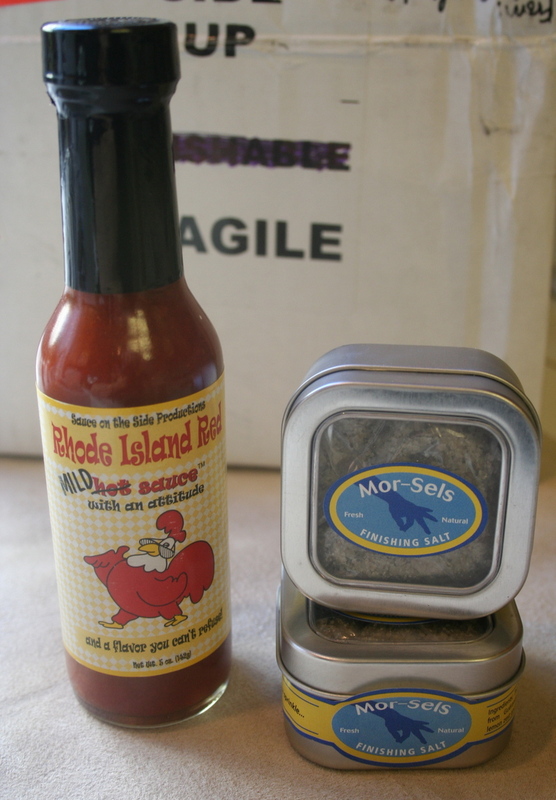 It should take you around ten minutes, from start to finish, to serve a hot delicious meal. And, no chopping! 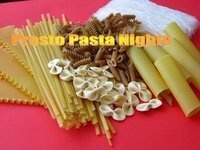 The recipe comes from Nigella Express, which features good easy and fast recipes. So there are cookbooks out there for for anyone who wants to prepare their own meals quickly. The chickpeas took me less than three minutes to prepare. I served them with pan grilled salmon, cooked in 8 minutes. It was a satisfying, healthy meal. 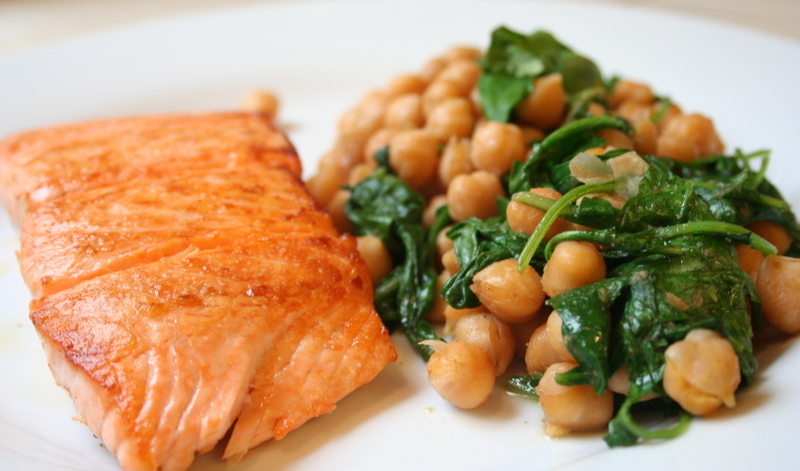 You can serve the chickpeas as a vegetarian meal, or serve it with any type of fish or shellfish. Nigella serves it with scallops and chorizo. I can't remember exactly when I first had edamame, but it was surely well into my adult years. Frankly, even though I'm a huge fan of legumes, until then I thought soybeans were only meant for feeding livestock. That changed as soon as I popped the first edamame into my mouth. Now, it's one of my favorite foods. And why not? 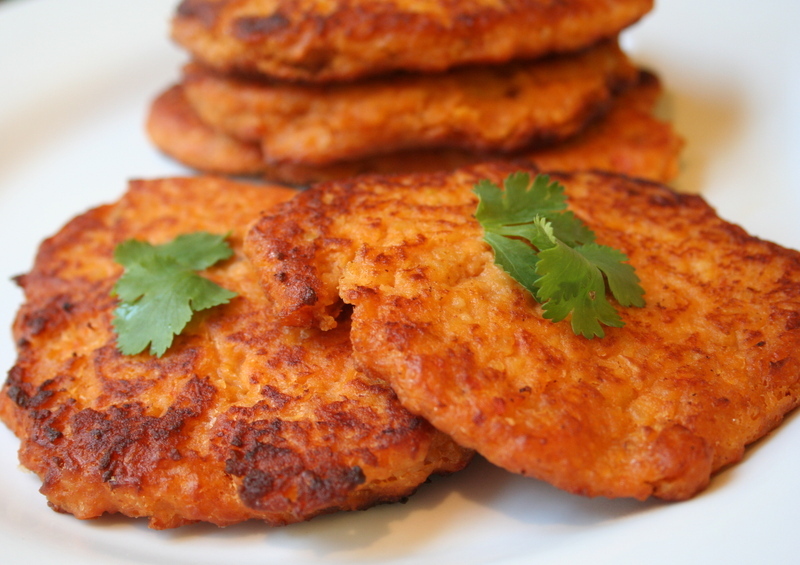 They're good for you, super fast to prepare, and delicious. 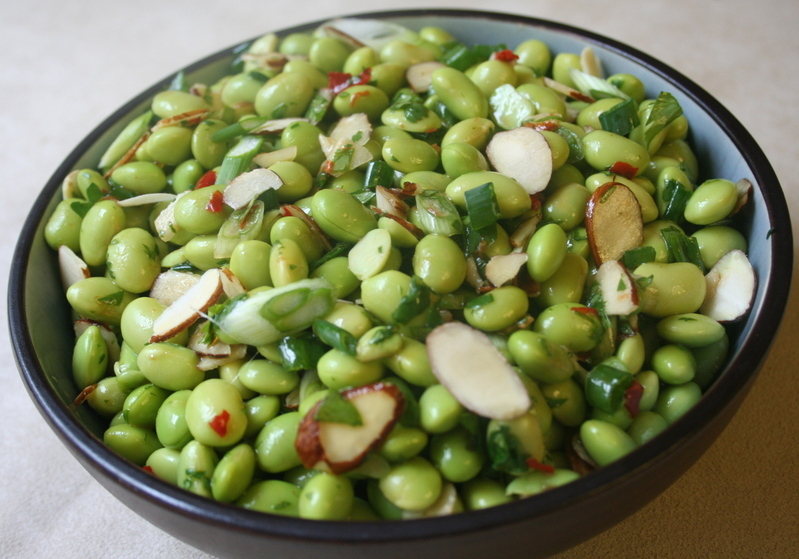 I always keep several bags of frozen shelled edamame in my freezer, for snacking or meals. I've had different versions of this recipe, and it can be adapted to your personal taste. You can add more or less of the soy sauce, vinegar, and chili sauce, if you wish. Sometimes I add some chopped ginger root too. You can also replace the almonds with peanuts or cashews. I make this dish and stash it in the fridge, where it improves with age--if you can resist eating it all as soon as you make it. Like many people, I've been pre-occupied with getting ready for Thanksgiving. This year I'm not making the traditional meal with turkey and mashed potatoes. Instead, I'm serving shrimp and crab file' gumbo. There won't be many side dishes. No one in my family would eat them, because they take up valuable stomach space from the gumbo. But, I did make a terrific appetizer that was so good, I had to talk myself down from eating it all up right after I made it. 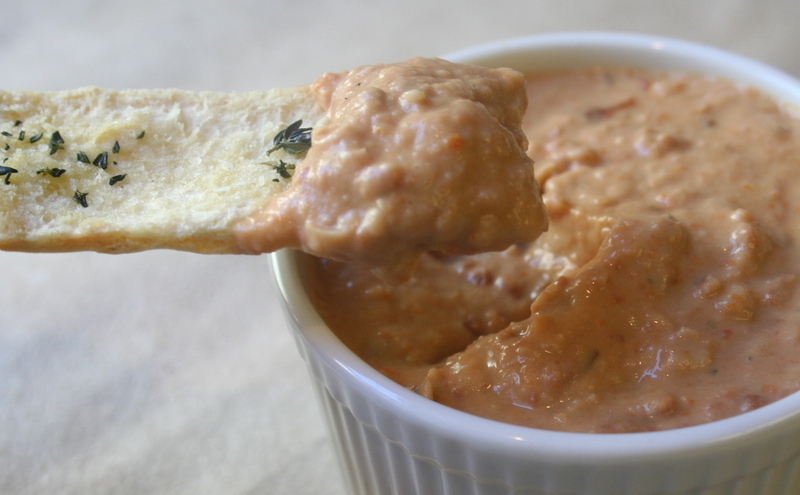 This sun-dried tomato dip is absolutely fabulous. Upon tasting it, my friend Nancy exclaimed, "It's like Italian flavors exploding in your mouth!" It's perfect paired with the herb pita crips. 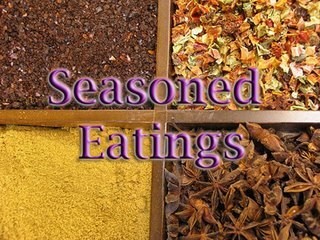 As the herbs are quite pronounced here, this makes a perfect dish for Weekend Herb Blogging, which was created by the fabulous Kalyn at Kalyn's Kitchen. The delightful Truffle at What's on My Plate is hosting WHB this week. The weather has cooled down here, and that means I can start cooking the type of food I avoid in the summer: Roasts, stew, and hearty soup. I love soup, an affection formed when I was a child. My mom made wonderful soups, but I also ate a lot of Campbell's soup for lunch. Eating a bowl of soup usually makes me feel emotionally and physically satisfied. 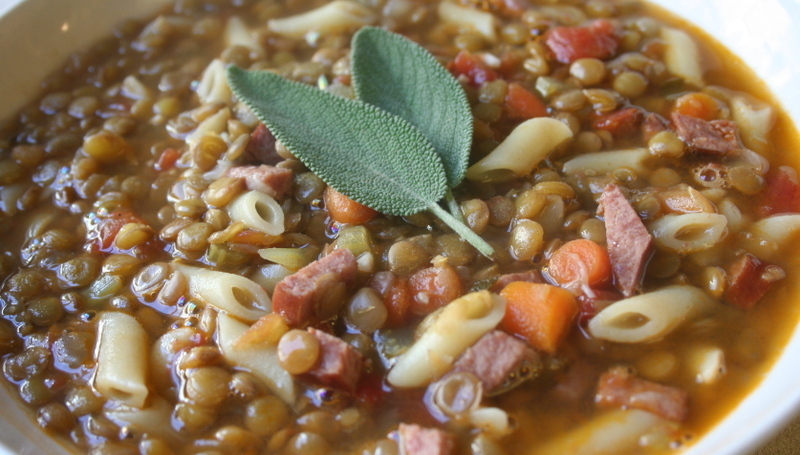 And as long as it isn't a high calorie soup, it's a healthy choice, good for losing weight and keeping the weight off. This soup is lean, even though it contains sausage. I used a lower fat turkey kielbasa, which gave the soup a nice smokey flavor. The soup is packed with vitamins and fiber. But, most important to me, it was delicious and quite easy to make. It took about 45 minutes to make the soup. 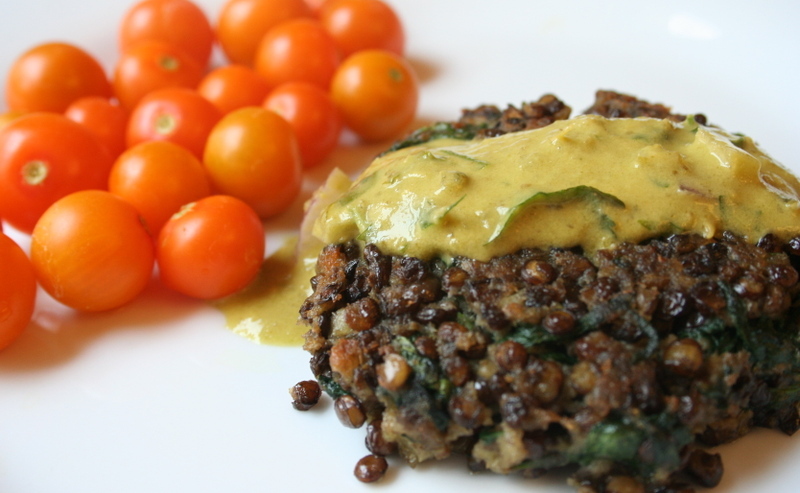 I used brown lentils, which cook in about 30 minutes, but you can use any kind of lentil that you like.